Honor a life so beautifully lived. Our florists artistically hand-design an asymmetrical all-white table wreath arrangement with roses, lilies, carnations and more. 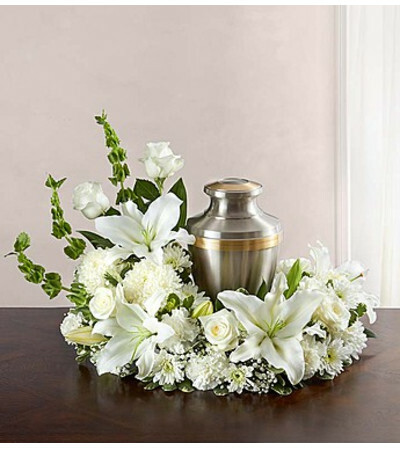 An urn or framed photograph can be placed in the open center, creating a comforting tribute for the cremation or memorial service.